Rajesh Khanna, MD is an acclaimed author whose book has received great reviews. He has been interviewed on TV many times, appeared on various radio talk shows and even hosted some. Over the years he has been featured on the front cover of magazines for his pioneering work on Prelex eye surgery. He is board certified by the American Board of Ophthalmology. He has specialized training in LASIK, Cataract, and Corneal surgery from the University of Cincinnati. 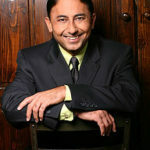 Dr. Khanna is also known as the LASIK surgeon to the stars, as he has performed over 10,000 vision correction procedures on many Olympic medal winners and Hollywood personalities like Disney stars Brenda Song and Corbin Bleu, “Hercules” Kevin Sorbo, UFC champion fighter Bas Rutten, and Butch Patrick who played Eddie Munster. He also performs Intacs Surgery for Keratoconus. Khanna is a voluntary member of the UCLA faculty, as well as of the American Academy of Ophthalmology and the American Society of Cataract and Refractive surgery. He believes in charitable endeavors and helps patients who have hit a rough economic patch. He leads an active lifestyle – hiking/walking on a regular basis. He recently went tent camping with his family to yellowstone national park. He enjoys swimming an tennis. He actively competes in field hockey league in Moorpark College, Moorpark. California.